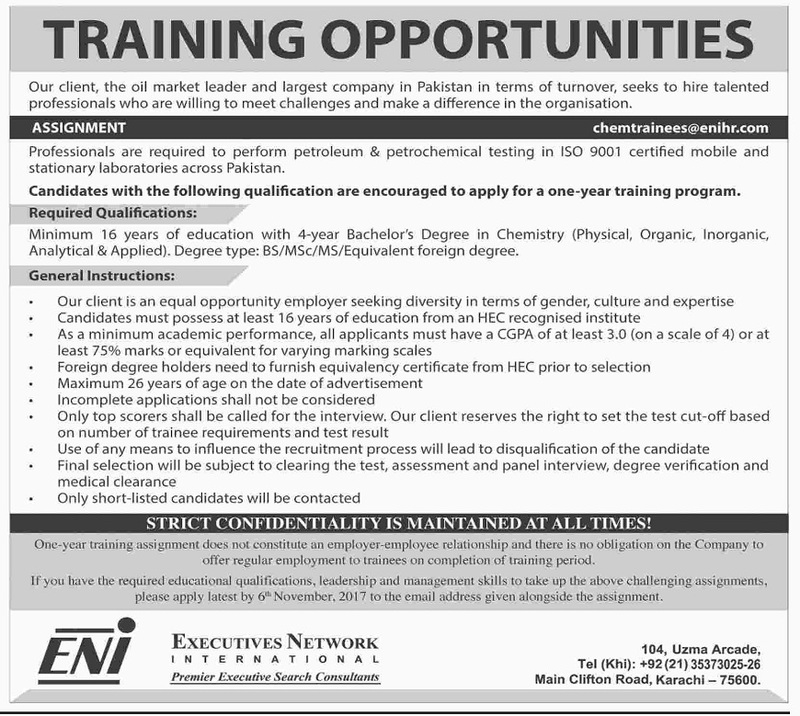 Executive Network International (ENI) seeks to hire talented professionals who are willing to meet challenges and make a difference in the organization.Professionals are required to perform petroleum and petrochemical testing in ISO certified mobile, stationary laboratories across Pakistan. Maximum 16 years of education with 4 years Bachelors degree in Chemistry (Physical, Organic, Inorganic, Analytical or Applied). Bs/ MS/ MSc/ or Equivalent foreign degree. At least 3.0 GPA out of 4.0 and minimum of 75% marks are required.